Shenzhen-Hong Kong Stock Connect is Coming to Town! 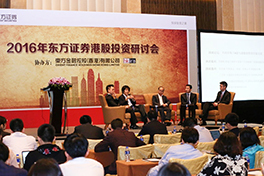 14 Oct - Reception of the CITICS Stock Connect Market Seminar at Futian Shangri-la, Shenzhen. 14 Oct - China Resources Beer presented to the mainland investors. 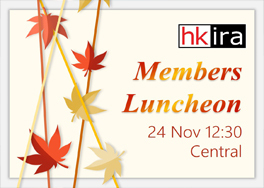 25 Oct - Speakers from HKEX and HK-listed companies shared their investment experience. Coming towards the end of 2016, one of the most anticipated news for investors might be the launch of Shenzhen-Hong Kong Stock Connect, expected to be running soon. The cross-border share-trading link will open new opportunities for the Hong Kong listed companies to raise mainland funds, a much greater pool of investment. For investor relations, this might be a different trading strategy and investment scope to get used to, and well prepared of. HKIRA had seized the trend and supported two whole-day seminars in October in Shenzhen and Shanghai respectively. Each event had about 30 Hong Kong listed companies to present and meet with hundreds of mainland investment fund practitioners. The events also invited speakers from HKEX and representatives from Hong Kong listed companies sharing investment experience between A shares and HK stocks under the common market, and arranged workshops on investment strategy in Hong Kong. 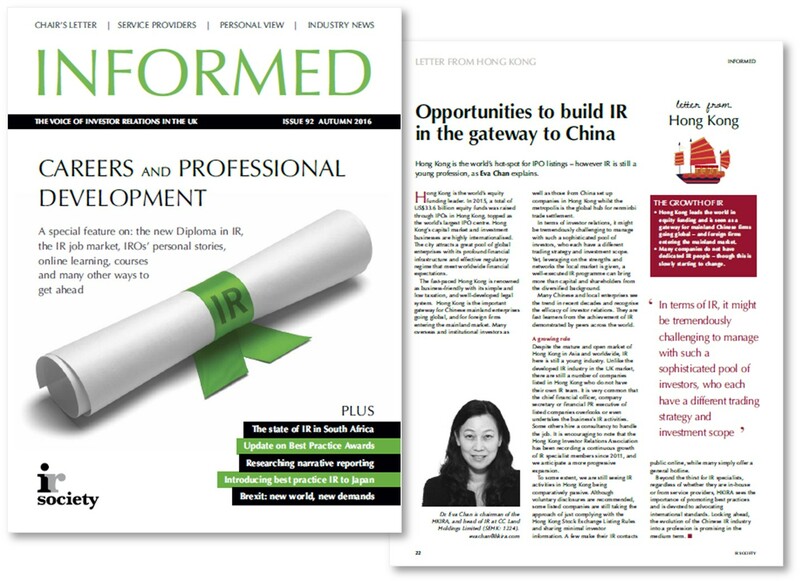 In the latest edition of Informed, journal published by the UK IR Society, our chairman Dr. Eva Chan had shared the current situation of the IR industry in Hong Kong, and the expected trend of growth. 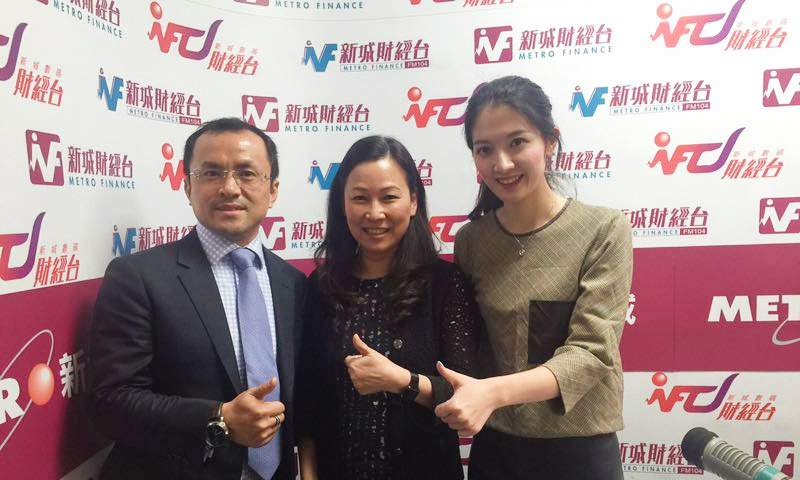 Recently, chairman Dr. Eva Chan and Partnership Comittee chairman Mr. Stephen Yao were invited to Metro Finance FM 104 for a radio interview to introduce HKIRA, the IR profession and the industry forecast in the Stock Connect market. 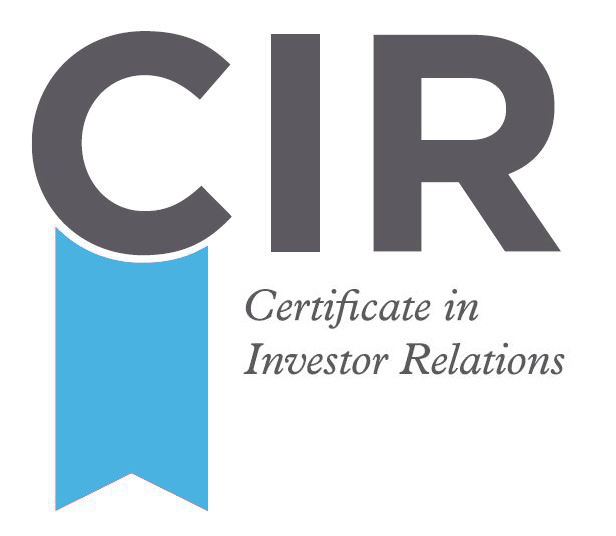 The Certificate in Investor Relations (CIR) is an internationally recognized qualification for the investor relations profession. The qualification allows successful candidates to demonstrate their knowledge of the financial and market environment and the regulatory and reporting requirements for listed companies and their sound understanding of the principles of investor relations, which will enable them to operate competently and safely. be familiar with the fundamentals of accounting, ratios, valuation and investment analysis. Don't miss this annual highlight - Mark your calendar now! Stay tune with all our updates! Arranged in sequence of stock code. 1993 Asiaray Media Group Ltd.
Hong Kong Investor Relations Association (HKIRA) is a professional association comprising IR practitioners and corporate executives responsible for communications between corporate management and the investment community. Established in 2008, HKIRA advocates the setting of international standards in IR education, promotes best IR practices and strives to meet the professional development needs of those interested in pursuing the investor relations profession. 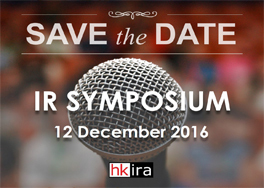 HKIRA is dedicated to advancing the practice of IR as well as the professional competency and status of our members. To date, HKIRA has over 500 members and most of them are working for companies primarily listed on the Hong Kong Stock Exchange. HKIRA's membership profile covers a wide spectrum of professions from IR, finance, accounting, company secretarial to corporate investment roles. It consists of executives at various stages of their career, including the top executives from the IR professional and also the C-level management of listed companies. Mr. Marcus Sultzer, CEO Asia-Pacific, EQS Group AG / EQS Asia Ltd.
Ms. Lisa Lai China Telecom Corporation Ltd.
Ms. Danita On Chow Tai Fook Jewellery Group Ltd.
Mr. Johnson Choi Hong Kong Exchanges and Clearing Ltd.
Mr. Eric Yau Link Asset Management Ltd.
Ms. Tiffany Cheung Sa Sa Int'l Holdings Ltd.
Mr. Edwin Hui Standard Chartered Bank (HK) Ltd.
Ms. Daisy Ku The Bank of East Asia, Ltd. Copyright © 2016 HKIRA, All rights reserved.